The Japanese auto giant Nissan is all set to launch its new Nissan Sunny on 20th September. Nissan Sunny is manufactured at the same manufacturing unit where Renault Duster will be manufactured situated at Oragadam near Chennai. 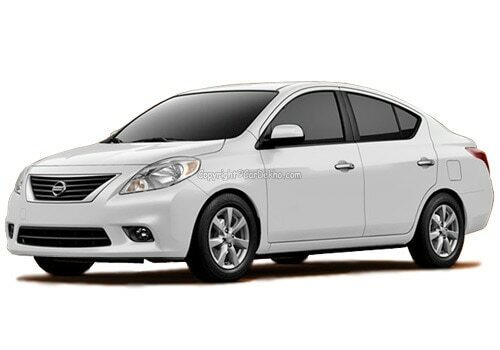 It is expected that Nissan Sunny price will be tagged around Rs 8 lakh (ex show room Delhi). The all new Nissan Sunny is a C segment sedan whose design is based on V-platform. The new Nissan Sunny specifications revealed that the new sedan will powered with a 1.5 litre petrol engine which is capable of generating maximum power of 99 bhp and peak torque of 134 Nm. It is also expected that Nissan will also launch its diesel variant in future as done with Nissan Micra hatchback. Nissan will launch its new sedan Nissan Sunny in three variants Nissan Sunny XL, Nissan Sunny XE and Nissan Sunny XV in India which is already available in US and China. As per ARAI, the petrol variant of new Nissan Sunny sedan will offer a descent fuel efficiency of 16.95 Kmpl. With this descent mileage the new sedan will give the tough competition to the other major in this segment like Volkswagen Vento, Hyundai Verna, Ford Fiesta, Maruti Swift Dzire, Fiat Linea and Tata Indigo Manza. Nissan put lots of efforts to made its new sedan quite different from other sedan. The new sedan will offer ample leg space and made it more comfortable and luxurious than other sedan cars. Talking about its looks, the all new Nissan Sunny will have sporty and elegant looks with new body color mud flaps, body color rear view mirrors, bumper and door handles. In addition to this the new sedan will also come compromise of advanced safety and security feature like Anti Braking System (ABS) and number of airbags as per the variant. 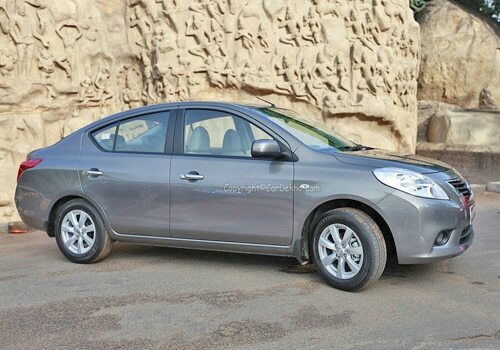 On one hand the Nissan Sunny XL and Nissan Sunny XV variant will come with two airbags both for driver and passenger. On the other hand the XE variant will equipped with only one airbag for driver.